It should be easy to find German Shepherd breeders. After all, the GSD is the 3rd most popular breed in the US. Having done your research, you are confident that you can provide the exercise and mental stimulation that this working dog breed requires. And German Shepherd puppies are the absolute cutest! You can hardly wait to bring that adorable bundle of fur home. Spotting an ad in the paper reading 'German Shepherd Dogs for sale,' you reach for the phone. But now is not the time for impulsiveness. Do not rush. Finish the most important part of your search first. You do not want to be surprised with a poor temperament and assorted health issues after you have bonded with your new puppy. 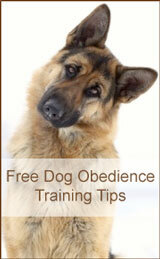 Take the time to find a dog that is sound in mind, body and temperament. This can be provided by reputable German Shepherd breeders. Dog breeding should be a passion... not strictly a business. You have probably heard about the horrors of puppy mills. But, stay away from backyard breeders as well. While some reasons may be noble at heart, they do not consider the health of the puppies. Nor are they looking out for the future of the breed. Backyard breeders create character flaws and genetic issues. The resulting puppies are members of the breed by name alone. First of all, if it's misspelled as above, take that as a flag. Responsible breeders will not typically advertise 'German Shepherd for Sale' in the newspaper classifieds. They often have a waiting list (spread by word of mouth) long before the puppies are born. Instead of the newspaper, check with veterinarians, groomers, obedience or training schools, pet supply outlets, breed organizations or kennel clubs in your area. Pick up a copy of The German Shepherd Quarterly or another breed publication for a list of ethical German Shepherd breeders. Yes, you will find a better price at a backyard breeder. They price low to to sell the puppies quickly. According to Norma Bennett Woolfs, "Finding a Responsible Breeder," you should expect to pay over $500 for a large breed puppy ($200 for a small breed, $300-$500 for a medium breed). I paid $400 for my backyard German Shepherd puppy... with full registration papers. To his credit, the backyard breeder I found in the paper showed me OFA certificates for both parents. But, he did not want to know anything about me... Or the type of environment the puppy would be going to. 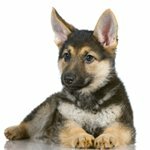 There are several questions that you can ask that will help you determine quality German Shepherd breeders from backyard breeders. And there are many questions they will ask of you. Learn more about the dog breeder questions. AKC registry is not necessarily a sign of a quality puppy. The backyard breeder I visited advertised AKC registered dogs with full registration for every puppy in the litter. This "breeder" hadn't taken the time to find out which puppies should (or should not) enter the gene pool. In other words, he was not looking to better the breed. The resulting puppies may not reflect the AKC breed standards for the GSD. Many breeders require a contract in which the buyer promises to spay or neuter the puppy. This prevents future backyard breeding and deterioration of the breed. Some German Shepherd breeders provide an AKC limited registration instead of a regular registration. This means that although the puppy is registered with the AKC, "no litters produced by that dog are eligible for registration." Do not pay more for this certification. In "What Is a Backyard Breeder?" Karen Peak warns us to be wary of breeders who charge extra for a pedigree or a registration. I hope you've learned from my mistake in patronizing a backyard breeder. Don't get me wrong, I love my Schatzi to death. I am thrilled that I rescued her from that unhealthy environment. And I am prepared to do whatever it takes to get her out of her introverted shell. But, I will never again support a backyard breeder. Also, stay away from breeders that advertise "giant" or "oversized" German Shepherds. The GSD was intended to be medium in size,with athleticism and agility. Neither their frame nor their joints were designed to handle 120 pounds or more. You don't always get the dog you want, but you get the dog that you need. ~Cesar Millan, "The Dog Whisperer"